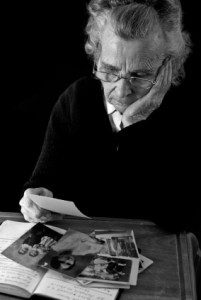 The holidays can be a challenge for seniors struggling with memory care issues. Depression and stress have been linked in some studies to memory issues later in life, and the holidays are prime time for the winter blues to set in. Memories of the way things used to be, of more vibrant days, or years without health issues and family nearby can all trigger feelings of sadness and loneliness in seniors, especially if they are living by themselves. The holidays can also compound depression by breaking up routines and creating a lot of pressure, both of which can be hard for those with memory issues to handle. If during this happy season you notice a loved one struggling with anxiety or irritability, or seeming especially confused, you may want to have a conversation with him or her about whether or not their needs are being met. The holidays are the perfect time to check in with your loved one and observe their behavior. They may not recognize symptoms of depression or memory loss because of other physical ailments or changes associated with aging. Many people assume that getting older automatically means changes in disposition or ability when that doesn’t have to be the case. While it’s wonderful to be able to spend time together during the holidays, eventually regular life takes back over. You may want to look into a retirement home to ensure your loved one will get the most out of life. A memory care facility, assisted living, or other senior housing can meet your loved one’s needs to maintain their health and emotional wellbeing. What better thing to give someone special than the care and quality of life they need?